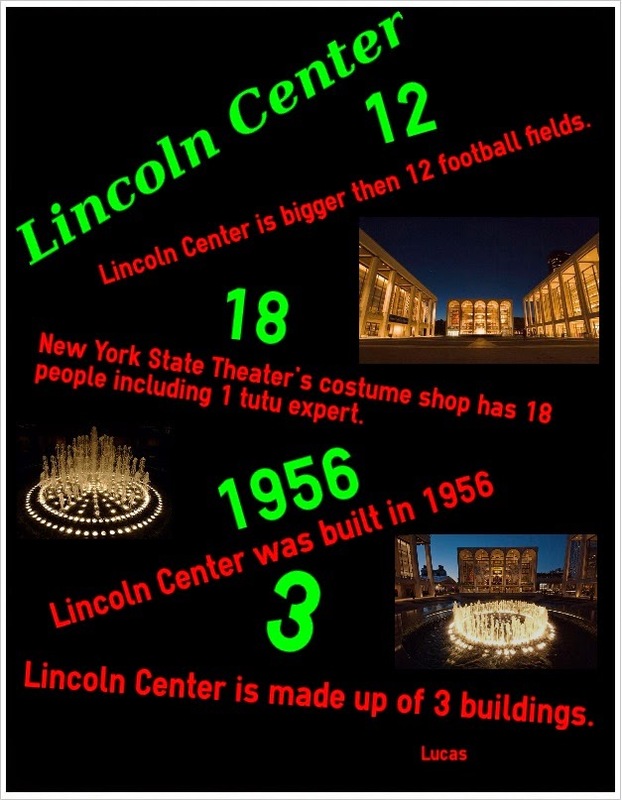 In our previous post, we wrote about the infographics that second grade students created for their social studies unit. We’ve created infographics this year with a number of our elementary grades, and through trial and error, we’ve perfected the process to help them gather their data facts for the topics they researched. For younger learners, a clearly defined way of collecting the information is key. 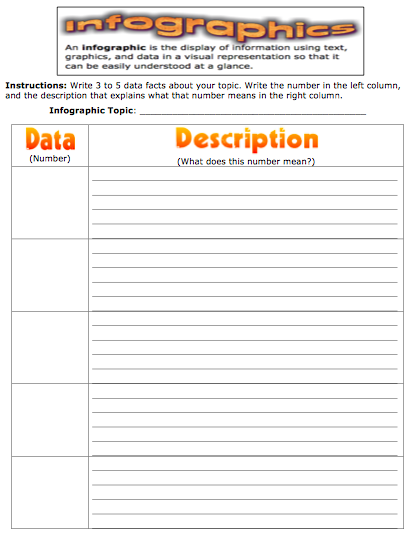 To do this, we designed the simple graphic organizer in this post to help them. The purpose of separating the number from the description is twofold. It not only clearly delineates the data from the facts, but it also aids in designing the actual infographic. In order for the number to stand apart, it needs to be in its own textbox. This allows the data to be sized differently from the text in the infographic. The data piece is important. It should be more pronounced, in order to highlight each key fact in the overall design. We found that using this method with younger students also helped guide them through the editing process in writing the descriptions without repeating the number within the text. Empowering kids to be their own content creators helps them visually look at ways to encode the design of information. We firmly believe that building the skills of design literacy develops a keen sense of how to manipulate content for maximum impact. 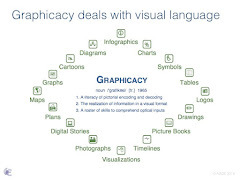 It develops visual literacy and visual thinking, the key components of graphicacy. The process of shifting from linear to visual information aids the learning process by providing context for content individually and by educating others about their topics. The earlier students learn to do this, the savvier they become at scrutinizing other information they see on a daily basis in the media. Understanding that design and media play a huge role in content creation can only help them as they go through the continual bombardment of advertising by infographics in the future. 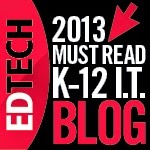 For the past four years, we’ve been using infographics with our students at different grade levels. This year, our second graders were studying New York City to make comparisons between its historical past at the turn of the last century with today. Instead of the typical presentation poster, they made infographics using the Easelly app. We worked with our colleagues Stefani Rosenthal (@StefRosenthal) and Jessica Raffaele (@miss_raffaele) to help the students gather the data facts they needed. With an array of examples from other students displayed in and around the library, these young learners easily picked up the basic elements and principles of design to create the examples in this post. The synchronicity of words, pictures, and numbers found in infographics enables students to visualize what they have learned and share it with an audience of their peers and others. Moving the content from writing journals or note-taking apps, where no one else sees it, to a place for others to interact with it changes the engagement with the information. A teacher alone does not make an audience. Students worked out the details of learning the simple principles of contrast, and color for the best arrangement of their facts and figures. Knowing that their work would be on view during a presentation and printed for the infographics wall in the library provided that extra incentive to make it their best. While we digitally show our students work, there is something different about having it on view around the building. Kids notice and love to see their creations exhibited live. The content reach also expands through the visual presentation on display. We constantly see others looking and discovering. As in advertising, the visual design of information solicits the viewer’s attention. The participation by an audience provides learners with an opportunity to demonstrate their understanding collectively to groups of spectators, whether peers, parents, or teachers. For kids, that encounter makes a difference. 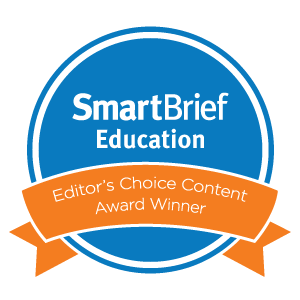 This collective consumption of content broadens the learning environment far beyond a simple grade level or subject area. The power of audience changes the dynamic from static, self-contained learning to one of organic assimilation of knowledge. Each January, the folks from Lake Superior State University (LSSU) release their (vaguely snarky) list of Words Banished from the Queen's English for Mis-Use, Over-Use, and General Uselessness. This year, the term "curated" was put on the chopping block for being, as one commenter noted, a "pretentious way of saying 'selected.'" Even though Pinterest and One Kings Lane may have catapulted "curated" into popular jargon, we respectfully disagree with the lexicographers at LSSU. Rather than being over-used or hackneyed, far too few students today are being properly schooled in the skill of curation. Curation is a key proficiency in face of today's instantaneous access to information. Sifting through a sea of sources and aggregating the most relevant research are critical expertises in the world of big data. Alan November actually recommends that on the very first day of school, teachers should train children in proper online searching. In this vein, we have curated five fascinating interactives to help inspire learners for the year ahead. 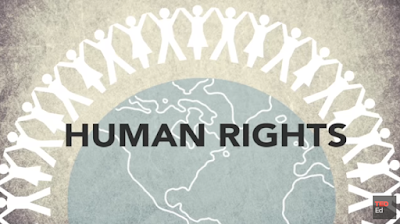 For the humanities, these animated videos and infographics encapsulate a wide range of explorations into history, geography, sociology, and globalization. Although they may have originated in 2014 or earlier, they paint a riveting potential for the year ahead in literacy and the social studies. 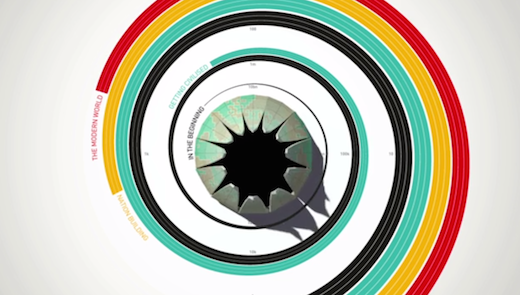 The Infographic History of the World from Valentina D'Efilippo on Vimeo. The Infographic History Of The World reminds us of an earlier, mesmerizing Solar System video from the Kurzgesagt design team. With art by Valentina D'Efilippo, this motion graphic pops with swirling images of the globe from the Big Bang to civilization's beginnings to nation building to the modern world. It pairs well with her infographic book, co-authored with James Ball, but also serves as a tantalizing teaser to excite young learners about world evolution. In Charted Waters - Mapping A Brave New World allows users to swipe through a riveting visual timeline of oceanic exploration. 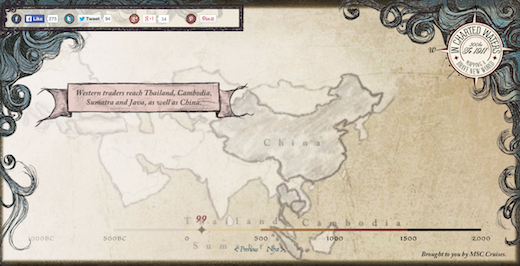 Created by MSC Cruises, this interactive website invites students to trace the history of human civilization through maps and indeed to explore the transformation of mapmaking itself. Michael Porath, a Data Visualization Consultant and Information Scientist, has generated a clever tool to explore the territorial expansion of the United States. 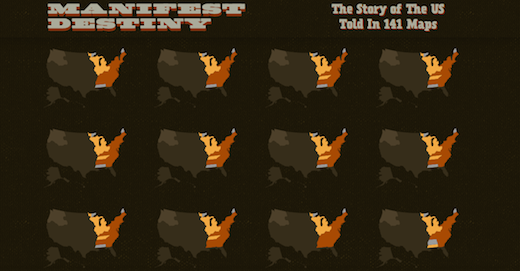 His interactive page, Manifest Destiny - The Story Of The U.S. Told In 141 Maps, takes existing map data and reimagines it as a scrolling, clickable, and hoverable series of images for students to investigate at their own paces and tangents. A partnership between the History Channel and Column Five Media has produced an excellent collection of infographics around the theme of "Mankind - The Story Of All Of Us." 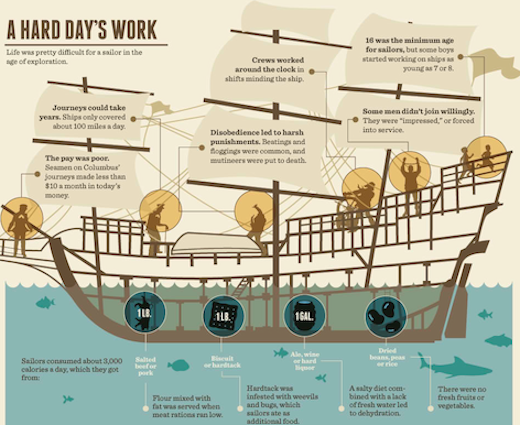 Their graphic about The Age Of Exploration is perhaps the most detailed and instructive, with intriguing facts and clean visuals to attract students. The other teaching tools are excellent as well, such as History Of Pyramids and Rome: Ancient Supercity. The Kids Aren't All Right is an interactive infographic that highlights key metrics of childhood development across the globe. Sponsored by Healthcare Administration Degree Programs, this site allows students to click on factors such as infant mortality, child labor, and primary school enrollment to see the real data about which conditions put children most at risk in world countries.